Figuring out what to cook during the week for the family, especially with picky eaters, can be a huge stress. I find that planning out my meals for the week makes dinners so much more enjoyable for everyone and it also makes budgeting and grocery shopping easier. We only grocery shop once a week so it's nice to only have to make the one trip instead of picking up items as we need them. I am always looking for healthy, easy, and kid-friendly meals on Pinterest. Every Sunday as I am drinking my coffee I make a list. Everyone knows what we are having and I have less fights and arguments about what we are eating. I even assigned my pickiest eater some homework. She gives me a list of things she will eat and that way it makes my job easier when I go looking for recipes to incorporate her choices. Check out Moss & Marsh’s blog post on monthly meal planning! Are there some strategies that have worked for you that I did not mention above? 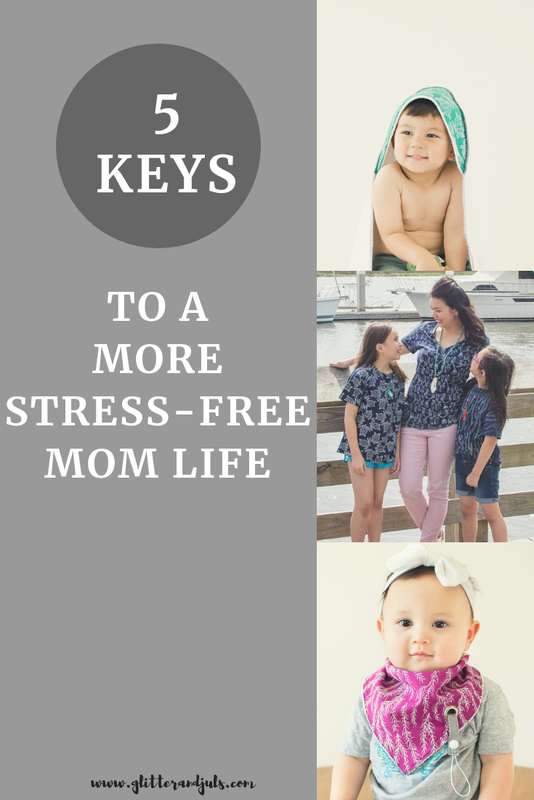 Comment below and share because I would love to incorporate more ideas if it makes parenting easier and less-stressful! Thanks for reading today's post and join me over on my blog, Glitter & Juls. I blog about my adventures in motherhood as a mom of four and also share affordable fashion inspiration for the every day gal!